This listing is for one continuous cut of the fabric shown. It is 100% cotton and 43/44" wide. Pricing is for ONE YARD at a time. In a single yard, you will get 3 repeats of the print that we will cut with scissors to ensure a clean cut. Great seller with good prices & fast shipping. Love the fabric! 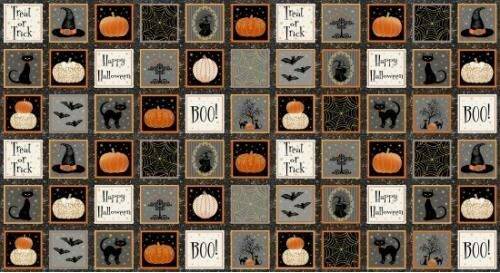 I'll use this fabric for Halloween table runners for family & friends.